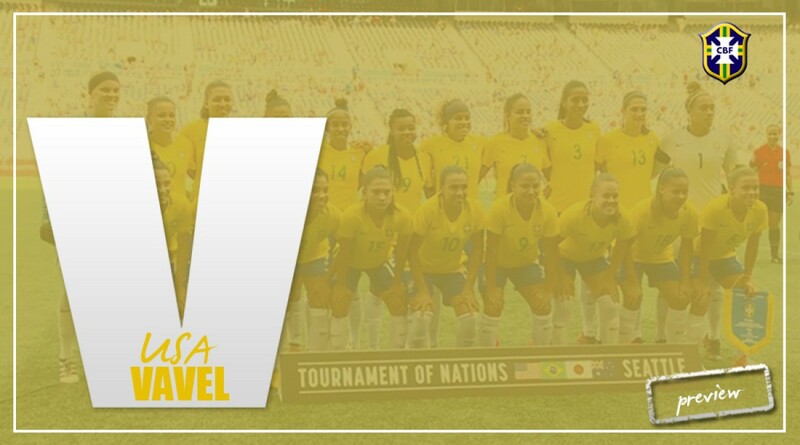 After a last place finish in 2017, the Brazil WNT looks to continue their winning 2018 year by showing well in the 2018 tournament. The Brazilian WNT will look for redemption in the 2018 Tournament of Nations. Brazil has already qualified for the 2019 World Cup, so the matches will be beneficial for the squad to work on line-ups and chemistry against top 10 talent. The first Tournament of Nations was not kind to the Brazilian side. After an opening 1-1 draw with Japan, they gave up a 3-1 lead against the United States in their second match to lose 4-3. In the final match against Australia, the Aussies dominated winning 6-1, scoring first in the second minute before giving up six unanswered goals. They ended up in last place in the tournament with one point and a goal differential of -6. Brazil then traveled to Australia to take on the Aussie’s in two friendlies and lost both of the matches, the first 2-1 and the second 3-2. They ended 2017 with four more wins and one more draw. Brazil has played seven matches in 2018 so far, winning all of them and outscoring their opponents 31-2 including five shutouts. All matches were world cup qualifiers for 2019, helping the team punch their ticket for France in June. NWSL talent has shown up in the matches with goal production. 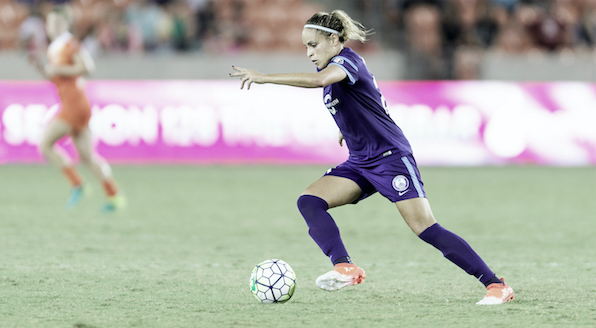 Monica of the Orlando Pride has four goals so far this year including a brace in the final game of world cup qualifying against Colombia. Debinha with the North Carolina Courage as three goals, Andressinha of Portland Thorns and Thaisa of Sky Blue FC have two goals and Marta, also of Orlando, has one goal. All of the Brazilian players in the NWSL have been called up for the ToN, including Camila and Poliana, both with the Pride. Brazil will open up the tournament against Australia on Thursday July 26 in Kansas City, KS at 3:15 p.m. CT. They will face Japan on Sunday July 29 in Hartford, CT at 4:15 p.m. ET before finishing up the tournament against the USWNT on Thursday August 2 in Bridgeview, IL at 7:30 p.m. CT.
GK: Aline (UDG Tenerife, Spain; 2/0), Barbara (Kindermann, Brazil; 56/0), Leticia Izidoro (Corinthians, Brazil; 1/0). Defense: Poliana (Orlando Pride FC, USA; 34/2), Joyce (UDG Tenerife, Spain), Tamires (Fortuna Hjørring, Denmark; 73/4), Rilany (Atheltico Madrid, Spain; 3/0), Monica (Orlando Pride FC, USA; 39/5); Tayla (Santos, Brazil), Daiane (Avaldsnes IL, Norway 0/0), Kathellen (Bordeaux, France). Midfielers: Thaisa (Sky Blue FC, USA; 60/4), Andressinha (Portland Thorns FC, USA; 51/7), Juliana (Flamengo, Brazil), Camila (Orlando Pride, USA; 11/2), Rayanne (Flamengo, Brazil). Forwards: Adriana (Corinthians, Brazil), Raquel (Ferroviara, Brazil; 22/4), Millene (Corinthians, Brazil; 0/0), Thais (Incheon Red Angels, Japan; 42/4), Beatriz (Incheon Red Angels, Japan; 49/13), Debinha (North Carolina Courage, USA; 60/22), Marta (Orlando Pride FC, USA; 121/108).